The project site is located in the municipality of Nikiforos Fokas, in the north of Rethymnon prefecture, Crete. It is bounded to the north by the Cretan Sea, to the south by the Municipality of Sellia, to the east by the Municipality of Episkopi and to the west by the Municipality of Rethymnon. The municipality's jurisdiction extends over fourteen former community wards and comprises a total of 21 villages. All villages have a long history and are known for their magnificent architecture. The municipality has a total area of 9600 ha, and a population of approximately 6600. The selected pilot municipality is one of the many municipalities in Greece but also in Mediterranean facing the same problem of the uncontrolled disposal of untreated olive oil mills wastes. Five olive oil mills are in function in the area for more than 10 years, whereas there are also two more mills that have stopped their activities before 5 and 3 years. Some of the active mills use evaporation lagoons while other dispose their wastes directly in rivers and streams. So far no detailed study has been carried out in the region but also in the neighbouring municipalities to evaluate the quality of the soil and water resources and the way that mills’ activities affect the surrounding environment. An additional smaller implementation site will be set up also in Liguria Region, Italy by CERSAA. The area selected for the experimentation is located in Savona province near the town of Albenga. Province has a total surface of 1545 Km2, it comprises 69 municipalities and has a total population of around 300.000 inhabitants. The agricultural sector is specialized in vegetable and fruit production together with viticulture and, particularly, oliviculture. Olive cultivation has been fostered during the last 10 years thanks to specific administrative and political measures set up by Liguria Region particularly aimed at restructuring the many olive tree orchards and mills located on the territory. In Savona province some 50 mills are active and 10 of them are certified for the production of D.O.P. 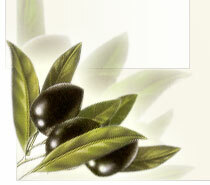 oil (Appellation of Protected Origin). 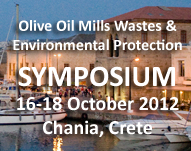 Traditional ways for disposal of untreated olive oil mills wastes foresee: 1. Disposal in the soil (mainly olive tree orchards), 2. Disposal in to the sewage system (where allowed by the responsible municipality), 3. Transformation into wastes which can be easily composted and used for heat production.